I recently enjoyed a keynote speech by Ann Christiano and subsequently read a piece co-authored by her and Annie Neimand in the Stanford Social Innovation Review last year titled, “Stop Raising Awareness Already.” In it, the authors suggest that organizations need to do more than just educate the public about a cause; they need to employ strategic communication methods to help people relate to the cause and move them to action. Christiano is knowledgeable in this area. She holds the Karel Endowed Chair in Public Interest Communications at the University of Florida and is a former senior communications officer with the Robert Wood Johnson Foundation. After hearing her speak and reading the SSIR piece, I found several instructive takeaways for private foundations. The Johnson Scholarship Foundation, which I lead, does not spend much money on communication. Most of what we know and practice has come to us through trial and error. We have long suspected that we are communication underachievers. If we could only unlock the secrets known to the professionals who practice this art, then we would reach our communication potential. We were partly right. Christiano’s advice, and the conclusions and supporting research in her SSIR piece, fly in the face of everything we thought we knew about communication. I will start with the “information deficit” model, a theory introduced in the 1980s to explain public skepticism about science. It postulates that this skepticism is rooted in a lack of knowledge and can be overcome by providing more information. Give people the right information and they will understand. Our foundation has proceeded on that same assumption (even though most of us have never heard of the information deficit model). We advocate for disadvantaged people and make the case that their education and participation in the skilled workforce is a good thing for society. Our expectation is that others will get this information, understand its value, and conduct themselves accordingly. As Christiano and Neimand point out in their SSIR piece, research shows that people who are simply given more information are unlikely to change their beliefs or behavior. Most people won’t listen unless the message is specifically designed to appeal to them emotionally. In that same vein, people will reject information — however plausible — if it does not coincide with their sense of identity. And for those few who might listen, the message will do no lasting good unless it contains a concrete call to action. A corollary is that a successful message should be narrow in scope and aimed at a narrow segment of society. This seems counterintuitive. After all, don’t we want to reach the widest possible audience? Reaching a wide audience, however, does not ensure our communications will be effective and accomplish something. Rather, an effective message must be designed for and delivered to a specific audience. Christiano uses the example of the role of communication in the Montgomery Bus Boycott in the 1950s to illustrate this. The message was aimed at a narrow group of people (African Americans who rode the bus) and the call to action was clear (don’t ride the bus). Furthermore, it was not just the approach that mattered. The real essence of the Montgomery Bus Boycott was the theory of change that underpinned it: African Americans constituted a majority of bus ridership in the city, and if all participated in a boycott, it would create sufficient financial pressure on the city, causing the leadership to end segregation on public transportation. This brings us to Christiano’s main point: communication to “raise awareness” is largely ineffectual and will not lead to change. It must be part of an overarching theory of change. This is something that foundations can do regardless of their communication expertise, or lack thereof. Consider a more prosaic example of how communication supported by a theory of change led to action. 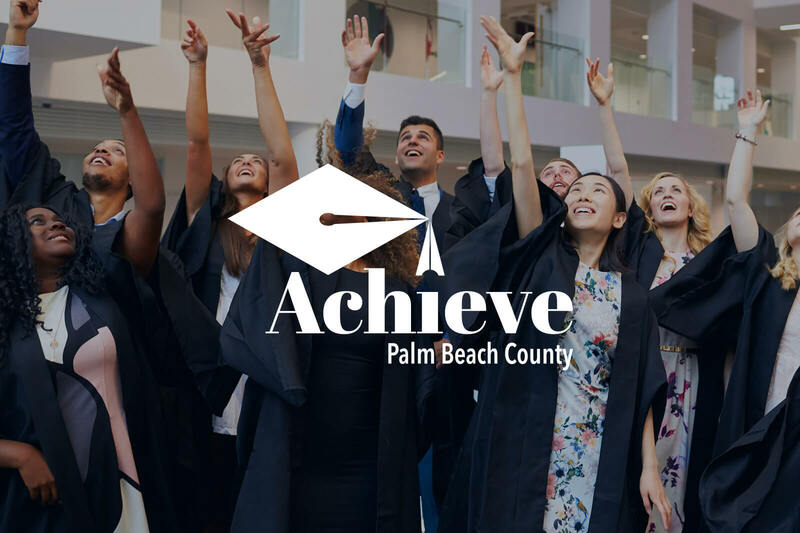 Our foundation played a leading role in establishing a local college access network (LCAN), Achieve Palm Beach County. In 2014, we began this work by contacting other funders and stakeholders working in this space and organizing meetings to discuss ways to obtain more funding for scholarships and support for students in financial need to attend college. Several foundations, nonprofit organizations, and individuals attended the meetings and got involved in the discussions, which continued over the course of several months. We started the conversation, but ended up doing more listening than talking. One of the participants, the leader of another private foundation, had the idea of starting a local college access network. The theory of change — that communities improve when every student achieves a postsecondary credential — was hardly new, and we drew on the resources and experience of others. We talked to and brought in nonprofit and foundation leaders from other cities and enlisted help from the leader of the Florida College Access Network. Our circle widened, and we strategized who else might have interest and could lend assistance. The next step was a public meeting — attended by about 150 people — at which Achieve Palm Beach County was launched. Throughout this process, we didn’t spend much time asking ourselves how to communicate. We knew our audience, we knew what we wanted, and the rest followed as a matter of course. This is exactly what Christiano is telling us, and it should come as no surprise. Effective communication depends less on expertise than on the usual values of purpose, discipline, humility, and effort. Malcolm Macleod is president and CEO of the Johnson Scholarship Foundation. Follow the foundation on Twitter at @JohnsonScholar.